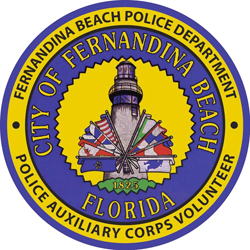 FERNANDINA BEACH, FL, MARCH 25, 2019: On March 23, 2019, the Friends of Bosque Bello (FOBB) and the City of Fernandina Beach hosted a cemetery cleanup event. This marks the first such event for the Friends and the City. Bosque Bello Cemetery is owned and maintained by the City of Fernandina Beach. The Friends of Bosque Bello is a volunteer group started in 2018 to raise awareness around the cemetery and assist the City with care and preservation of this significant historic site in the community. Over the last year, the Friends have been working with the City on processes for allowing volunteers to work in the cemetery, as well as measures around security and a future columbarium. Sections A6 and B6 are part of the cemetery that during segregation was reserved for African-American burials. One couple buried during that era were Edward and Frances Mordecai. In the 1870 census, Edward Mordecai is listed as “Asst of M.A. Williams, Surveying of U.S. Lands.” By 1875, Edward is listed as Assistant Keeper under “Lighthouse Service” to Henry Gage, Keeper of the “Amelia Island and beacon” in the U.S. Register of Civil, Military and Naval Service. Their daughter, Georgia, later became the second wife of William Henderson Peck, principal of Peck High. In the 1900 census, Edward and Francis lived next door to Georgia and her husband, and Edward is listed as a merchant. In the 1901 City of Fernandina directory, E.M. Mordecai worked at 105 N. 2nd Street and his home is listed as just “S. 15th.” 105 N. 2nd Street is part of the Huot Building (aka Standard Marine) in the 1903 Sanborn Map of Fernandina. At one time Mr. Mordecai owned almost an entire City block, and was also awarded the contract to complete garbage pickup for the city. As part of Saturday’s event, the Mordecai plot was raked and the headstones cleaned. Volunteers at the cleanup were required to have participated in a Cemetery Resource Protection Training (CRPT) by the Florida Public Archaeology Network prior to Saturday’s event, as well as sign a City waiver for participation. Cleaning of headstones follows a standard procedure involving use of D/2 Biological Solution. Volunteers cleaned headstones, picked up vegetation debris, and raked leaves in Sections A6 and B6.